Untouchability is scarring the lives of thousands of children in Uttar Pradesh. Untouchability is scarring the lives of thousands of children in Uttar Pradesh. The worst hit are the children of manual scavengers, derisively called ‘bhangi’ by others in the village and in school. 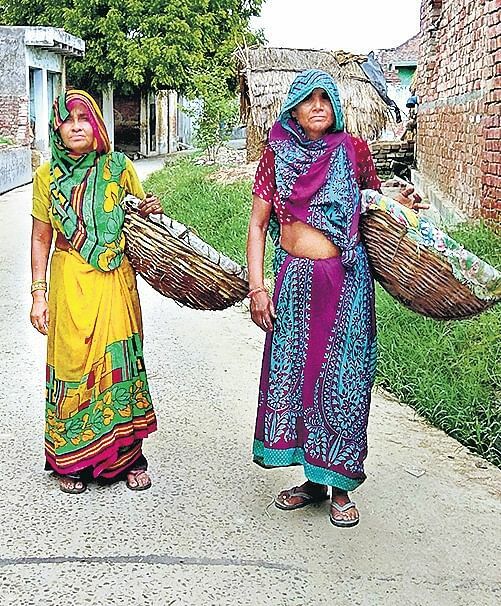 “They ask me to stay away from them and sit separately in the classroom,” says Kalpana, a grade I student at a school in Nadrai village, and the daughter of a manual scavenger. “Once you make any human being clean human excreta, it is enough to destroy their self confidence and dignity. Nothing is being done to help these children overcome the trauma they are facing. This is a vicious cycle and they end up doing the same work as their earlier generations,” says B Wilson, the founder of Safai Karamchari Andolan. “Without addressing untouchability you cannot solve the problem of manual scavengers,” he asserts. Chhaya, 11, and her six siblings are seen as “bhangi ke bacche” by their classmates and even school staff serving them mid-day meals. “They throw the food at us from a distance so that they don’t come in contact with us. They ask us to bring utensils from home and do not serve us food in the school utensils,” says Chhaya. She and her friends are also not allowed to drink water from the common pot. While some children have devised coping mechanisms, for most, “the stigma associated with their mothers’ profession leaves a scar on their lives,” says Ashif Shaikh, convenor, Rashtriya Garima Abhiyan. Terribly disturbing. Building modern sewers should have been every government's priority since independence. The real problem is we indians neither think rationally nor do we have modern technology to build and clean sewers.